Two weeks ago today, I awoke to Avery tucked snuggly up against me under the warm covers, chatting. It was 7am on Saturday and as I stretched I noticed Lawson too had ended up in our bed at some point overnight, him now waking as well to Avery’s cute early morning chit chat. When I finished getting both kids dressed I felt some vaginal fluid come away. I’ve not bled before in pregnancy, so I thought it was likely just normal vaginal loss but took myself off to the loo for a wee and to double check. I was relieved there was no blood in my underwear but when I looked down and saw the moderate amount of bright red bleeding on wiping, my heart immediately sank. I went to find my Prince Charming who was asleep in Lawson’s bed, after taking his 6’2 self there in the early hours of the morning when longing for bed space. I climbed into the single bed with my love, and tearily whispered, “I’m having a miscarriage”. The tears cascaded down my cheeks as my Prince swiftly scooped me up in his arms. “Oh no” he tenderly replied. With an urgency in his voice he then compassionately asked “What do you need?”. “Nothing” I sobbed “just hug me”. For the day my womb cramped strongly and regularly, some of the waves taking my breath away while I attended to mundane household tasks. The bleeding was a light flow which concerned me, because I knew if this was to be a complete miscarriage at 7 weeks gestation, I needed to pass at least a full monthly bleeds worth. My instincts told me to retreat so I spent this time at home where I felt warm and safe. I drank tea and cried lots with my man while snuggled on our Plush chase, as the kids played around us. The cramping peaked in intensity that night and I tossed and turned in bed while having wacky colourful dreams. The following morning, I had a new client who was requesting a Breastfeeding Appointment. My bleeding had started to pick up but the cramps were mild come sunrise. I knew my bleeding could last several days (of which I didn’t expect I would be staying home the whole time for) and this mama really needed my help, so I decided to attend the appointment. Although, when I left my house that morning I instantly felt fragile. The world felt cold and fast paced and I felt like I didn’t belong in it. My goal: to support this mama completely for the 90 minutes I was with her, then retreat home as soon as possible. The appointment went well but while driving home I felt my body pass a large clot. When in the safety of my own ensuite, I was able to see the 50-cent piece size clot; likely housing my little babe inside. Nothing about that made me squeamish, instead I marveled at my clever body for knowingly bringing this baby (the size of a blueberry) out in its entirety. For the rest of the day I had heavy bleeding and passed a few more smaller clots. My hubby and I went out for a late lunch together while mum babysat Lawson and Avery. We had such a lovely long chat about our baby and the sadness we both felt over this whole experience. I shed so many tears over tapas and treasured the love I felt between my darling man and I, as we walked this heavy-hearted road again together. Three days later my bleeding had moved from heavy, to medium, to light flow. 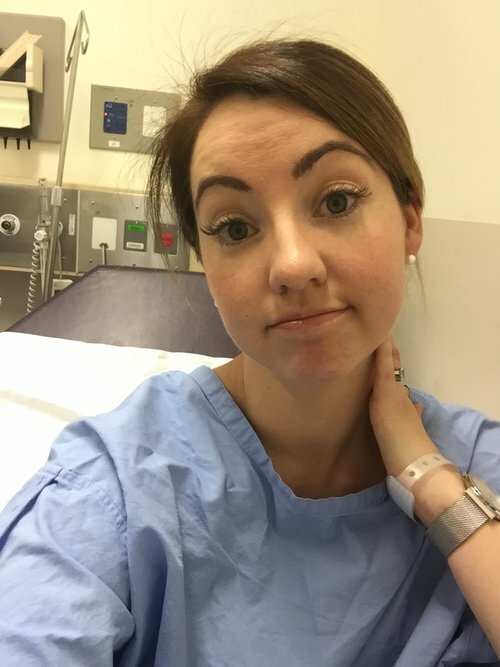 Just like with my first miscarriage, I hoped to avoid any kind of surgical intervention and up until that point, I was very comfortable monitoring my body myself from home. I had felt no need to see a doctor but promised myself (and my mum!) that if things deviated from normal, I would definitely follow it up with a medico.